Use of computer or smartphone is highly encouraged for the interactive knowledge checks portion. (Interactive knowledge checks require downloading free Zoom App if participating via smartphone. To receive continuing education (CE) for WC2922-03192019—(Webcast) Clinician Outreach and Communication Activity (COCA) Calls/Webinars “Extensively Drug-resistant Salmonella Typhi Infections Emerge Among Travelers to or from Pakistan—United States, 2016–2018” Tuesday, March 19, 2019, please visit TCEO and follow these 9 Simple Steps by April 22, 2019. To receive continuing education (CE) for WD2922-03192019—(Web on demand) Clinician Outreach and Communication Activity (COCA) Calls/Webinars “Extensively Drug-resistant Salmonella Typhi Infections Emerge Among Travelers to or from Pakistan—United States, 2016–2018” Tuesday, March 19, 2019, please visit TCEO and follow these 9 Simple Steps by April 23, 2021. Please join the COCA Call webinar with digital audio, video and presentation formats from a PC, Mac, iPad, iPhone or Android device. Typhoid fever is caused by Salmonella enterica serotype Typhi (Typhi). Typhi is an important public health problem in developing countries. The estimated global burden of Typhi is 12 to 27 million cases annually. During 2016–2018, an extensively drug-resistant (XDR) Salmonella Typhi strain—only susceptible to azithromycin and carbapenems—emerged in Pakistan. More than 5,300 cases have been reported in the ongoing outbreak. During 2016–2018, typhoid fever was diagnosed in 29 patients in the United States with recent Pakistan travel; 5 had XDR Typhi. The Centers for Disease Control and Prevention (CDC) recommends pre-travel vaccination and adherence to safe food and water practices to prevent typhoid fever. Empiric azithromycin should be used to treat patients with suspected, uncomplicated typhoid fever who have traveled to or from Pakistan. Carbapenems should be used for patients with suspected severe or complicated typhoid fever who have traveled to or from Pakistan. During this COCA Call, clinicians will learn about CDC recommendations for diagnosing, managing, and preventing XDR typhoid. Cite background information on the topic covered during the presentation. 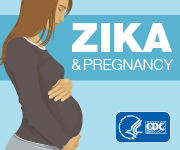 Discuss CDC’s role in the topic covered during the presentation. Describe the topic’s implications for clinicians. Discuss concerns and/or issues related to preparedness for and/or response to urgent public health threats. Promote health improvement, wellness, and disease prevention in cooperation with patients, communities, at-risk populations, and other members of an interprofessional team of health care providers. Provide background on Salmonella Typhi and the ongoing XDR typhoid outbreak. List CDC’s recommendations for diagnosing XDR typhoid. Describe the treatment options for typhoid fever infections diagnosed in the United States. Explain the prevention measures for XDR typhoid and who should be vaccinated. Web-on-demand training will be available a few days after the live call. Fees: COCA Continuing Education (CE) is free. The Centers for Disease Control and Prevention designates this live activity for a maximum of 1 AMA PRA Category 1 Credit™. Physicians should only claim credit commensurate with the extent of their participation in the activity. CECH: Sponsored by the Centers for Disease Control and Prevention, a designated provider of continuing education contact hours (CECH) in health education by the National Commission for Health Education Credentialing, Inc. This program is designated for Certified Health Education Specialists (CHES) and/or Master Certified Health Education Specialists (MCHES) to receive up to total 1 Category I continuing education contact hours. Maximum advanced level continuing education contact hours available are 0. CDC provider number 98614. CPE:The Centers for Disease Control and Prevention is accredited by the Accreditation Council for Pharmacy Education as a provider of continuing pharmacy education. This program is a designated event for pharmacists to receive) 0.1 CEUs in pharmacy education. The Universal Activity Number is 0387-0000-19-078-L04P and enduring 0387-0000-19-078-H04-P course category. This activity has been designated as Knowledge-Based. The Centers for Disease Control and Prevention is a pre-approved provider of Certified in Public Health (CPH) recertification credits and is authorized to offer 1 CPH recertification credit for this program. AAVSB/RACE:This program was reviewed and approved by the AAVSB RACE program for 1.0 hours of continuing education. Participants should be aware that some boards have limitations on the number of hours accepted in certain categories and/or restrictions on certain methods of delivery of continuing education. Please contact the AAVSB RACE program if you have any comments/concerns regarding this program’s validity or relevancy to the veterinary profession.